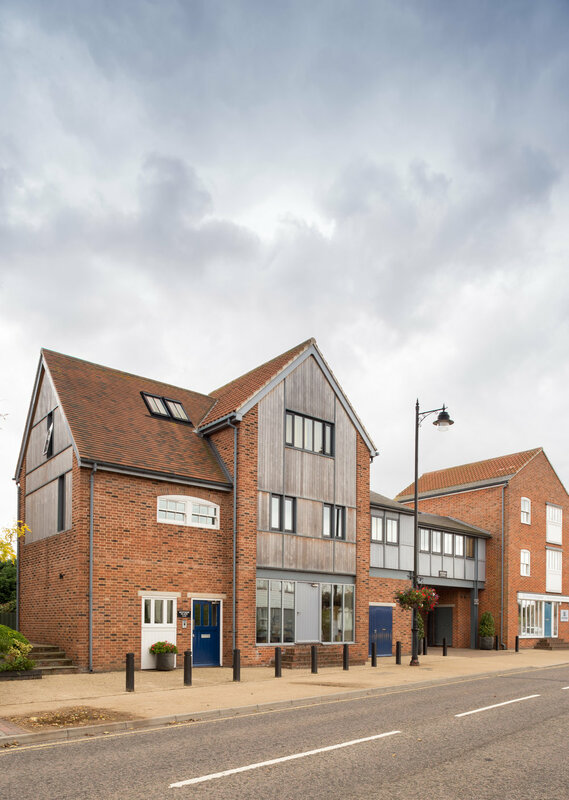 A mixed use development of thirteen apartments and two commercial units located on a disused brownfield site in the centre of Woodbridge. The development takes on the appearance of an evolved cluster of traditional buildings, based on the Suffolk vernacular, but with varied forms and materials. The differing building styles and forms help to break up the massing of the development along this important and prominent roadside frontage.